Schedules are always hard to mesh, so it was great to have a reunion of the Joy Luck Club at Daikokuya, especially with the ever-elusive, Rhino-wrestling tater. 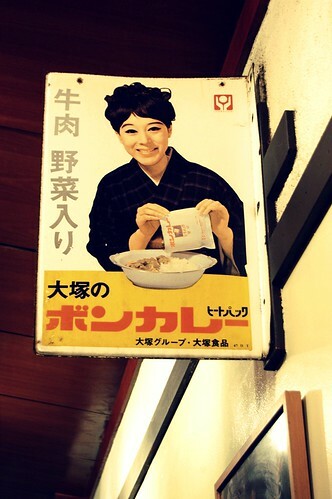 The place is small and cozy and decked out with vintage Japanese ads. It's a lovely destination for a cool fall evening. 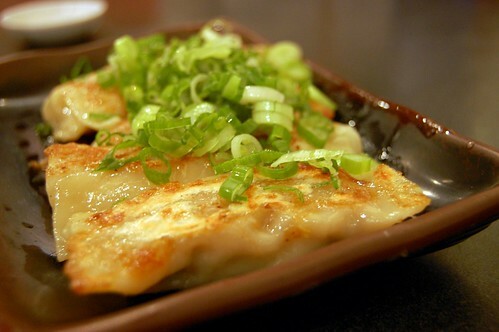 The gyoza ($5.95) are beautifully pan-fried on the outside and steeped with juiciness inside, a tastebud-pleasing precursor to noodle heaven. The daikoku ramen ($8.50) swims in a rich broth with slices of kurobuta pork belly, a marinated boiled egg, bamboo shoots, bean sprouts, green onions, and sesame seeds. Delicious, belly-warming, and good for the soul. 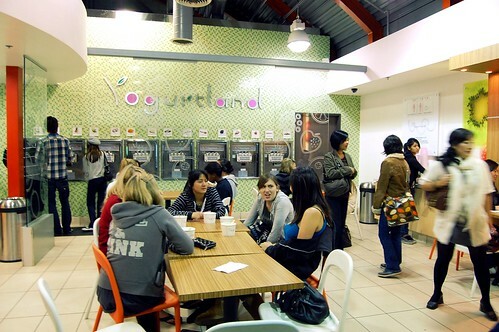 Then it was time to cool off at Yogurtland. Here's my little bit of tartness with mochi and Fruity Pebbles. Total cost: $1.84. 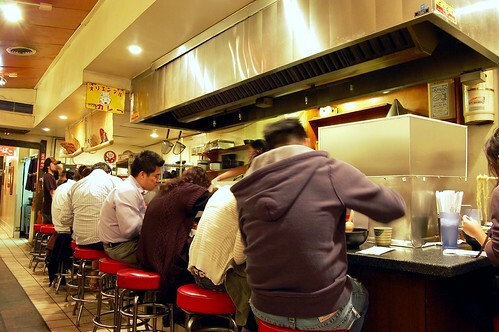 As always, we laughed and laughed and laughed until we realized a bunch of people were patiently waiting for our table. And only then did we leave. Hmmmmm ramen. It'd be perfect for the weather here! You can't see me, but I'm doing my very best impression of your dear possum right now. 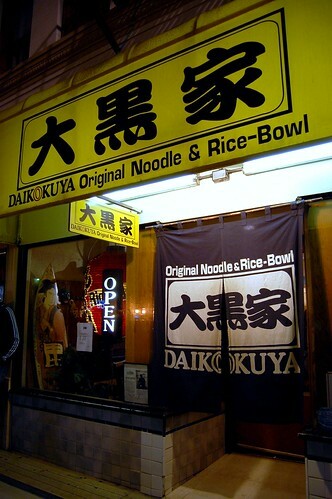 i looove daikokuya! 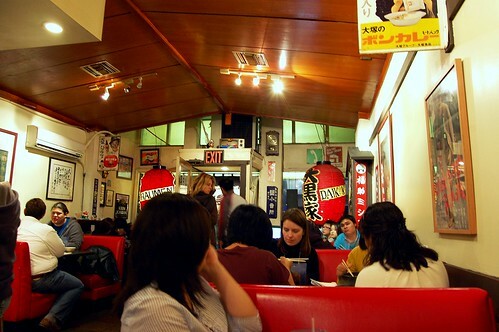 anna and i have to satisfy our ramen craving there every few weeks. i'm a total pig and have to get a combo.. the ramen + fried rice. DELISH. 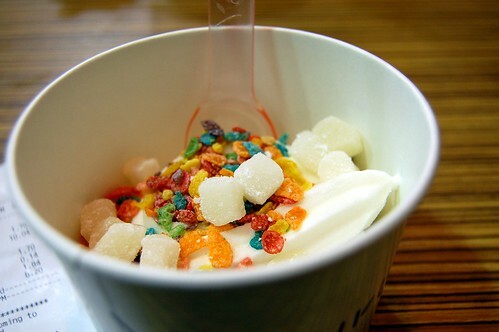 life doesn't get much better than a reasonably-priced noodle soup and uber-cheap froyo. those fruity pebbles totally reminded me that the holidays are coming and that means CHRISTMAS CRUNCH will soon be available!!!!!!!!! so, so, so much fun. and i will NEVER stop laughing at the possum face. so scary! So I notice the 'curtains' outside the door and the ramen place I went to had that too. Is that a standard ramen place thing? I swear I'm coming to LA for the WeezerMonkey culinary tour. 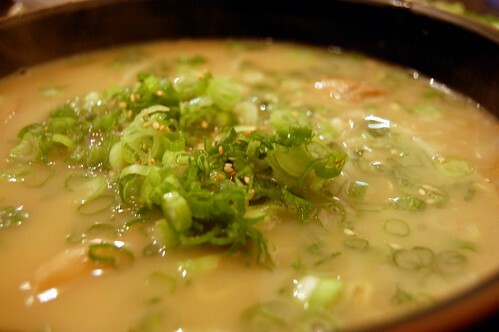 I don't remember ramen looking that good. Yay for seeing the potato girl! 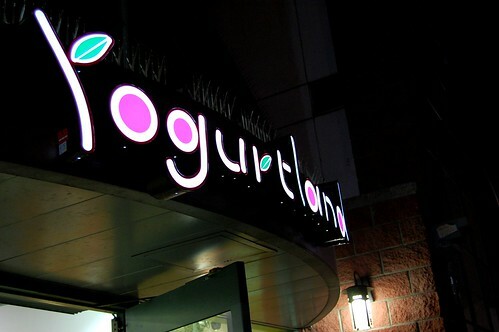 ANd Yogurtland is my personal favorite, it's 1.5 miles away from my house. Good point. I didn't look for the rating when I went. Ignorance is bliss.